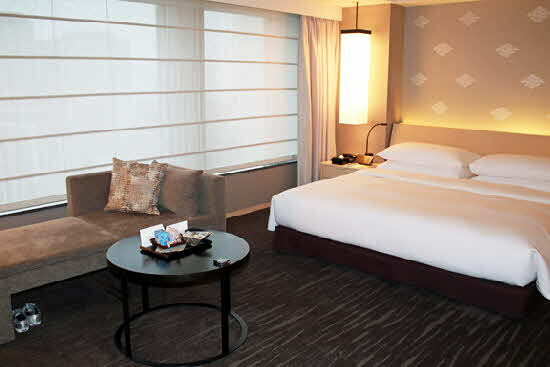 The ultra-modern, 5-star Capitol Hotel Tokyu is located in the trendy Akasaka area of central Tokyo,not far from the Imperial Palace. The locale couldn’t be more convenient. There’s a subway station just under it where several Metro lines converge, so you can take an elevator or escalator from the subway to the hotel. I loved the Capitol’s sleek 21st century décor, but the hotel itself has quite a history. Fifty years ago when it was in a different building at the same location, the Beatles stayed there. The building was completely rebuilt in 2010 – a project that took four years. It was designed by architect Kengo Kuma, who has also designed the upcoming stadium for the 2020 Tokyo Olympics. Capitol Tokyu is a large property with 251 rooms (including 13 suites), three restaurants, a bar, a pastry boutique, five banquet facilities, small meeting rooms, private dining rooms, an indoor swimming pool, fitness center, spa, and gardens. 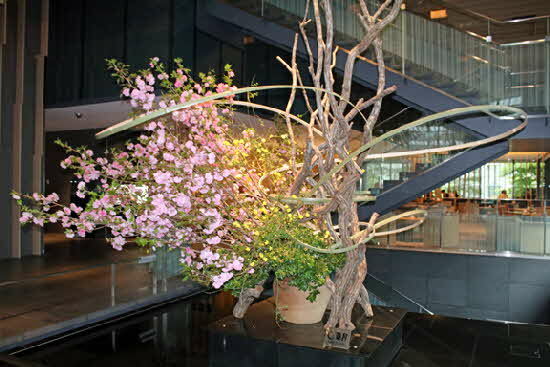 Even though the décor is very modern and high tech, the style is still true to Japan. 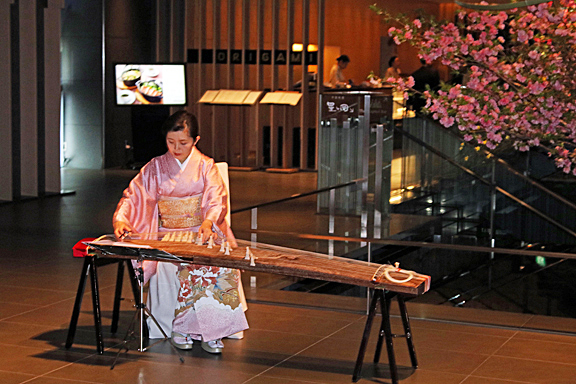 The impressive lobby included a huge cherry blossom ikebana display and a kimono-clad woman playing a traditional musical instrument from afternoon to evening. Of course, as is common in Japan, there are flower arrangements everywhere. 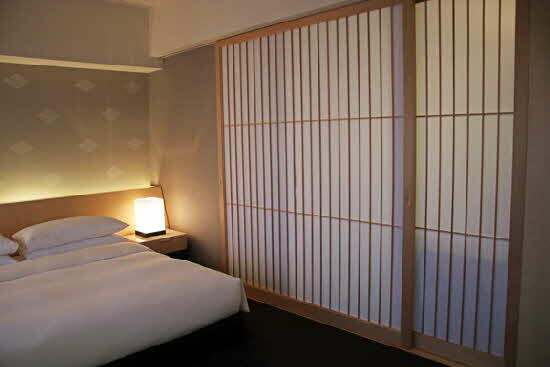 Shoji paper screen dividers are also in every guest room. In my Deluxe King room, the divider separated the bedroom from the bathroom. At 500 square feet, the room was spacious, especially by Japanese standards, which have tended to mean smaller rooms than in the west. My Deluxe King included a desk and a chaise, a large bathroom, and an unusual amount of closet space. Larger rooms are available as well from the Premier rooms and Club rooms to the suites. 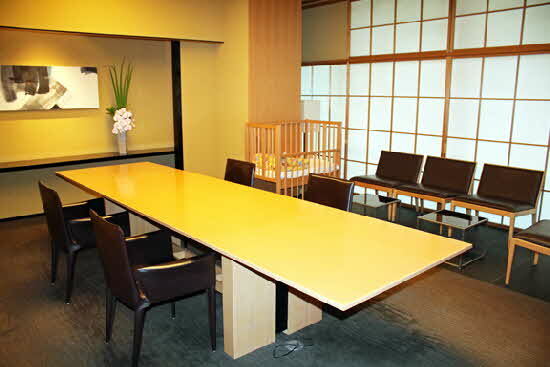 The Garden Suite on the 5th floor overlooks the historic Hie Shrine. What I loved most about my room, though, was the panoramic window with a button-operated shade and separate button-operated curtains. My view was of the Tokyo skyline, but the hotel also has some gardens on the property that can be seen from some rooms. I got a view of the gardens from the Origami restaurant the next morning, which made for a particularly peaceful breakfast. 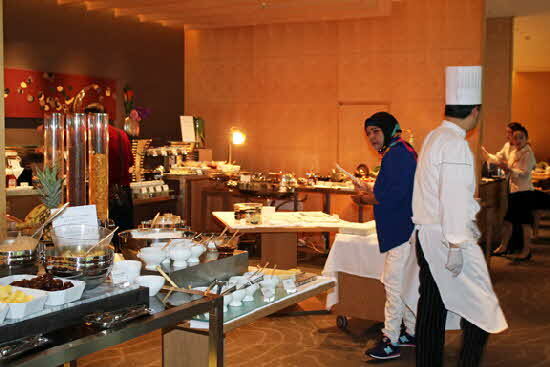 The breakfast, by the way, was a relatively small but fine buffet, while my eggs were made to order and brought to my table by the wait staff. Origami is open for all-day dining and has a pastry boutique that’s been famous for its butter-free banana bread since 1963. If you want to buy the folks back home an unusual edible gift, check out the boutique’s Gâteau Noir, which is a charcoal black cake with chestnuts and adzuki beans, made using bamboo charcoal. Origami is a great choice for lunch or dinner if you want a break from Japanese cuisine because it serves eclectic dishes like T-bone steak, clam chowder, jambalaya, fettuccine alfredo, and banana custard pie. The Capitol’s main restaurant, however, is the Japanese Suiren, which serves teppan-yaki, sushi, tempura, and kaiseki with traditional tea ceremonies. Chef Minoru Tsuge maintains a popular tempura station in the restaurant. Chef Noboru Kobayashi’s Star Hill serves the four major areas of Chinese cuisine and includes a weekend buffet with 110 types of dishes. Capitol has a variety of meeting rooms, including several ballrooms, but what impressed me most was that one of the small meeting rooms I saw contained a crib. I’ve never seen this in a hotel anywhere in the world. It seems that Japan is more progressive about helping parents manage their lives between home and work. Not surprisingly, the hotel is also a popular place for weddings and wedding receptions. 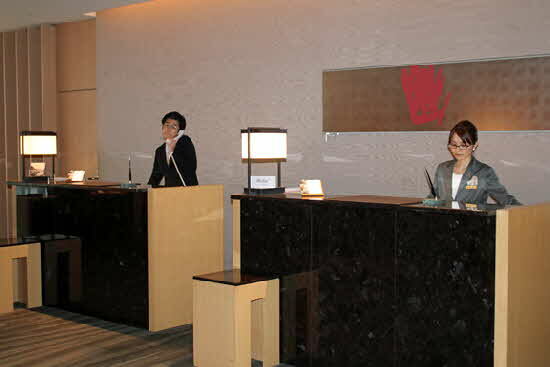 I would happily stay at The Capitol Hotel Tokyu again when in Tokyo. Its 5-star status is well-earned from the helpfulness of the staff to the facilities, food, and accommodations.